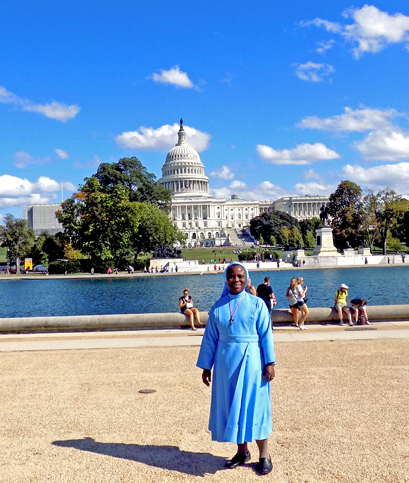 This blog is by Sr. Florence Emurayeveya, EHJ (pictured at the end of this post). Sr. Florence has a Master’s Degree in Education and is a visiting scholar to CARA from Nigeria. Her work with us is supported by a grant from the Conrad N. Hilton Foundation. The research featured here is also funded by the Hilton Foundation. The gift of God is abundant. Religious life is a gift of oneself to the service of God and to one another. In Mark’s gospel, Jesus called the first apostles and without questioning, they left their jobs and families and followed him. As I reflect on this passage, I think of how amazing the uniqueness of the call to religious life is. It is a personal distinct invitation from God which needs a response just like that of the apostles using our talent to be of service to others. In a recent survey by CARA, men and women entering religious life in 2017 in the United States were asked several questions about what attracted them to their vocations. 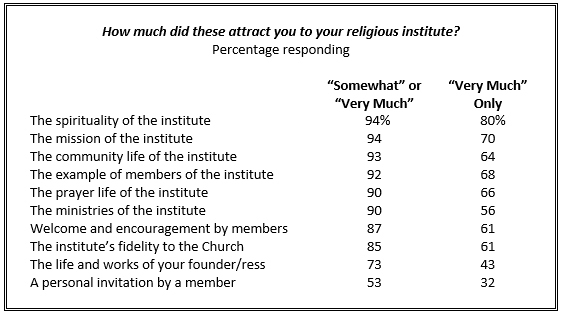 More than nine in ten of the respondents identified that the sense of the call and a desire for prayer and spiritual growth coupled with the desire to be of service to others “somewhat” and “very much” attracted them to the religious life. Each of the respondents answered the call in different ways through different activities, programs, invitations, and experiences which helped them in their discernment. The 2017 entrance class were asked how helpful vocation experiences were to them before they entered. 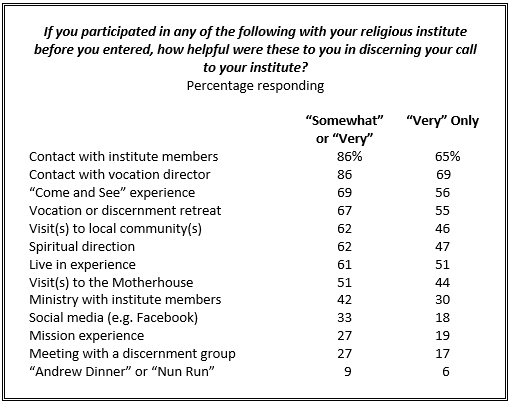 They were most likely to report that contact with institute members or contact with a vocation director, “Come and See” experience, or a vocation or discernment retreat, prior to entering their religious institute were at least “somewhat” helpful. 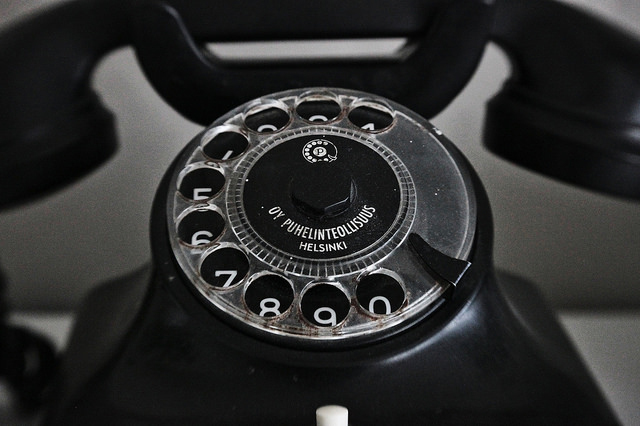 Today, as ever before, the response to God’s call to the religious life is a free-will “yes.” God calls us to answer and live the religious life in service of God and humanity. The entrance class of 2017 is beginning this journey now. To read more about these men and women entering religious life, download CARA’s detailed report for this study here. Phone image courtesy of Joonas Vainio.